They also bring SmartThings integration and a new universal guide. Even if you can't spring for an 85-inch 8K TV or a screen large enough to be called The Wall, Samsung still has something new for your next TV. 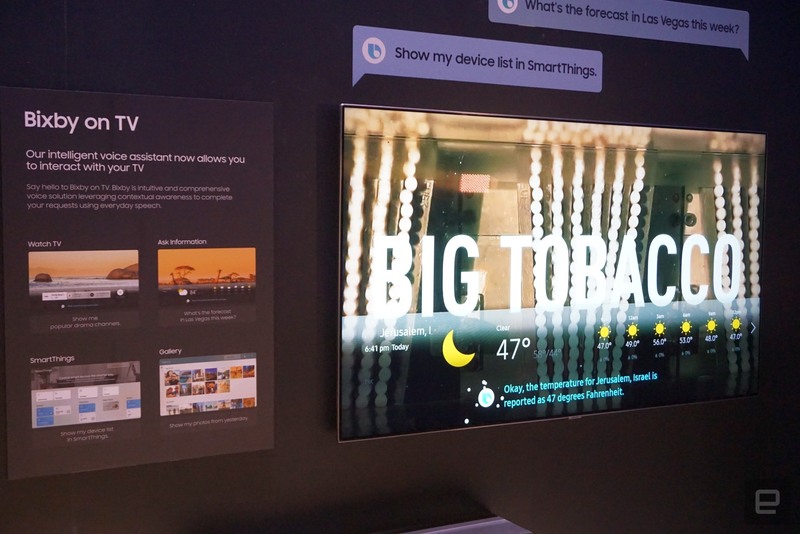 Its 2018 Smart TV platform is getting an upgrade with the addition of its Bixby AI voice control platform, as well as integrated with its SmartThings smart home platform. That home automation hub support will "offer easier sharing, connectivity, and an overall simplified way to control the television and sync with other devices," according to the company. As Samsung explained during its launch event on Sunday at CES, it's replacing all of the current mobile apps with one SmartThings app, that will help you login to services, set up WiFi on your new TV, and more. Finally, a new universal guide will keep up with the likes of Apple, Roku and TiVo by searching for content within apps and suggesting new things you to watch.